A few months ago I migrated back to my motherland South Africa, after being out of the country for 29 years, with no job, a suitcase and a dream. It has had its moments as any move, but it truly has been the best decision I have made in my life to date. I had been living in Australia for 13 years and prior to that New Zealand for 16 years. For me, both places were always a comma, and never a full stop. This is all I knew and from a young age. I didn’t know where it was my soul needed to be, until I came here in March last year on a 6 week tour with the amazing poet, and hip hop artist named Luka Lesson. As cliche as it sounds, I landed at the airport in Joburg and as always I was travelling on my New Zealand passport. The customs officer greeted me with a warm hello , stared at me, looked down at my passport and than said with a big smile on his face “welcome back home Miss Nayagar”. And in that serendipitous moment, I instantly felt a surge of belonging engulf my being like no other place had ever done or captured. This free spirit had finally found her roots and grounding. The tour itself was incredible. We got to meet amazing artists, fellow poets and beautiful people doing beautiful things.The artists’ struggle here is much like what artists face in Australia and New Zealand, but with the added weight of a developing country and its reality checking curve balls. The lack of resources, the lack of support, the lack of a lot of things hinders an artist to reach their dreams and potential. TIA or ‘This Is Africa’ is a term affectionately used by many Africans for when things don’t work, go to plan or worse, don’t work at all!! And this my friends, happens frequently like an apple a day. But if there was one thing that I realised quite quickly is that South Africa was not short of talent. In fact its overflowing, bursting at its seams with powerful and talented people who are working 3 times as hard and hustling 5 times more than most I have met in the business just to to keep above water. They don’t call it Johustleburg for no reason. In my humble observations, I think you seriously need a high level of motivation, tough skin and resilience to survive as an artist here. There are 1000 closed doors and 1000 people saying no compared to that all elusive 1 key that opens that golden ticket door to that one opportune and treasured yes. And this is what a lot of artists face, especially the ones who are underground and fighting for a spot on the airwaves. The townships are still a harsh reality. A place where tattered clothes hang on poverty lines, where people are always hustling, trying to find the next dollar, the next exit sign. I have personally met many artists who still live in the townships even though they have performed for massive audiences, at festivals, have released successful albums or are even well known and published poets. There is also no real government support like other countries that I have lived in. I think slowly people are realising that they can not rely on this government for grants anymore. Artists have to find ways and make sacrifices to just make things happen. A lot of them have day jobs, sometimes 2 and have to juggle gigs, studio sessions and all that jazz just to get by and make their music and art. But in all of this they hold strong to their craft and push for all of us. They do the hard yards so that we have a unique South African voice and sound for us to listen to. They do it for the love of music, for the love of the arts, for the love of South Africa. There is a natural vibration that this land beats with and it sparks a rhythm in people. It is a very visible element that flows with a high level of energy and life force. Music has always been a place that people have turned to here in times of struggle. Especially during the apartheid era, where many songs and chants were the only things that uplifted people and inspired them to rise and fight for our freedom in a peaceful way. Madiba once said that “It is music and dancing that makes me feel at peace with myself and at peace with the world”. I’ve been lucky enough to have known and be living my life dreams and purpose for a long time. I’ve also always been a person who supported hip hop and spoken word artists in various capacities. Especially ones who have a real purpose and message that I believe in. For me it was quite surprising when I realised that here the South African airwaves pervade with dance and Kwaito inspired tracks that fill taxis, malls, and other public environments. So for hip hop artists, my favourite type of artists, it is even tougher as the market here, believe it or not is still quite underground and niche. One of such artists is Point Blank who I have had the privilege of interviewing for this article to understand the challenges that he has faced directly in the 15 years that he has been on the scene. Hailing from Mozambique, he is a rapper and producer based out of Jozi. With complex wordplay and rapid flows, this rap tactician is most commonly known for his independently released debut album entitled Mic Check which was the first ever full solo album to drop in Mozambique. Yes, fully independent. And yes, everything he did by himself, from the production of beats, organising the printing and distribution of his cd’s in retails stores and to anyone who would want to buy them. Even from the boot of his car. This really still happens if you want your 16 bars of pure goodness released. Since his first instalment, he has featured on multiple releases and collaborated with some of South Africa’s artists such as Dj Papercutt, Albert Iron, P, Zubz, Snazz D, Simba (Mozambique) and Jess Tha Facts (USA), among others. 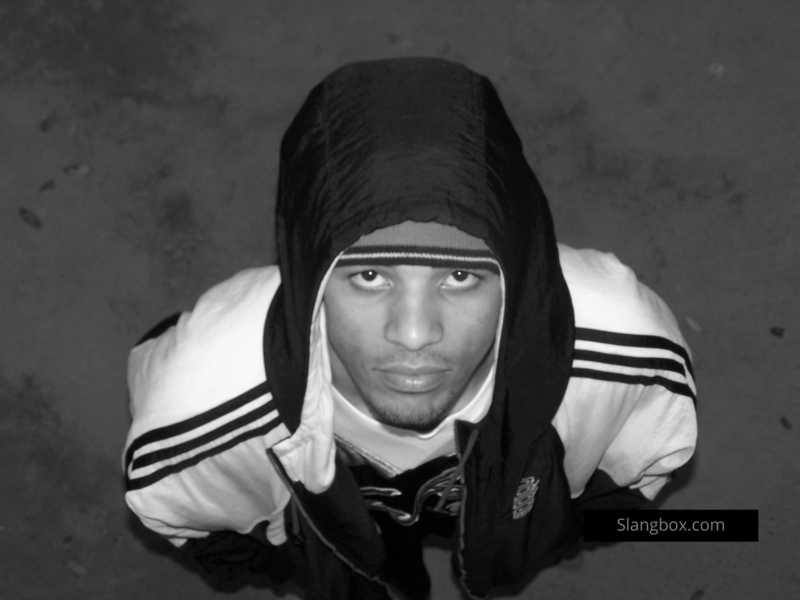 In addition, Point Blank has shared stages with the likes Vast Aire (Cannibal Ox) and Copywrite. My uncle used to bring me cassettes as a youngster and he got me listening to Hip Hop. At 13 I started writing my own lyrics and later had my first gig at school. It gave me a taste of the scene and what it felt like to be on stage and be a hip hop artist. I then started doing cyphers on the street and park shows, then moved onto venues. There was an incredible moment back in 2000 while in Durban that really stands out. I went to a place called Jus Jazzin. There was this amazing jazz band playing at the time and during their break I went up to the stage and asked the drummer if i could jam with him. He gave him a beat and I rolled of it and freestyled. It was especially amazing because although they weren’t a hip hop crowd, it was hip hop that had us connected. That is what hip hop is about. To be in those spontaneous moments. I’m a rapper and producer. I try not to limit myself to categorisation though. Probably because of the conflicting ways I see myself. To quote Thirstin Howl III, “my ego and my conscience refuse to share the same space.” You see, although my subject matter is often dark, I’m the happiest when spitting bars or cooking up beats. Producer – DJ premier and MC – ILL BILL. These cats are dope. Who do you think the most influential artist in SA Hip-Hop is? Tumi and the Volume. They are very well known here. What surprises you the most about hip hop? It has the ability to captivate a large number of people and is one of those genres that tackles the now. Some people have said that hip hop is dead, but I believe it never died. Its evolved, changed and new generations are doing it their own way and style. These days you can turn on ur computer and there are multiple platforms with millions of tracks ready to listen to. What led to your style of delivery and beat-selection? An array of things. I’ve had thousands of influences and listening to my music you would hear certain rhyme schemes. But if I had to name people it would be the likes of Gangtsta, royce – 5 9, Company Flow and GZA who has been one of my biggest influences. If you could change something about the Hip Hop industry what would it be? The commercialism and control. There are many people who put something for the sake of it and are not genuine and lose their authenticity. Even though hip hop was built on sampling, they still had heart in their lyrics and musicality. I say people need to have more heart and be less gimmicky. You’ve been doing this for 15 years, what’s the hardest thing you have ever had to deal with? Egos! That’s the biggest hurdle. It’s so easy to lose sight of an objective when egos come into play. Everyone has one, but the key is to keep it in check. Knowing when to feed off of it. I had a crew back in the day and we made some dope tracks buzzing the underground scene like Africanized bees. But as quick as we came up, we self destructed into shrapnel. An all too common product of beef. It’s amazing what a little fame can do. I’m sure we’d all do things differently now, but I guess you never really know till you’ve been in that situation. I am currently in the lab working up new chemistry soon to be made available to Hip Hop fiends everywhere. The new LP entitled theRAPy, is set to be released in digital format across multiple web distribution platforms. It features the likes of Dj Papercutt, WRDS, Nhati Kaya 1, Simba and Keags. In addition to theRAPy, I’m working on a full length LP with producer Albert Iron. The LP will be entirely produced by Albert Iron and is expected to be release in the second quarter of 2015. Also in the works, is a full length album entirely produced by Kataquomb which can be expected later in the year. So here I am, doing all I can to support artists like Point Blank to live their life purpose. Freedom in my eyes, dreams in hand. South Africa, you had me at Jozi! J.Cole – the truth about white rappers or plain racism?